Unlike local numbers, toll-free numbers help businesses to build up a stable national presence without investing additional time and resources. Most businesses nowadays implement toll-free numbers to provide their customers with a platform to contact customer support executives without incurring call charges. 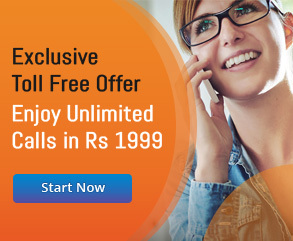 The toll-free number services require the call charges to be paid by the subscriber instead of the calling party. The enterprises can expand their national presence by choosing the number from a variety of different toll-free numbers. Enterprises could easily get these numbers from cloud telephony service providers. In addition to the basic toll-free number, cloud telephony providers give businesses set of advanced features to increase the efficiency of their telephony system. The global toll-free services market is predicted to gain impetus on the back of sliding prices, constant growth of the call centre industry, and businesses largely concentrating on achieving customer satisfaction. Many businesses use toll-free numbers as effective communication solutions, whereas others use toll-free services as a powerful tool for expanding their national presence. The toll-free vanity numbers further help businesses to make customers remember and recall their brands over a longer period of time. Businesses are already benefiting from toll-free services and expanding their national presence in a number of ways. Many customers look for options to reach businesses quickly and inexpensively. Unlike local numbers, toll-free numbers enable customers to reach businesses by calling for free. The customers can further take advantage of this service to gather additional information about products/services by calling on these number. It gives customers a channel to connect with business without worrying about the business location or the cost of the call. While expanding their business operations, many enterprises relocate from one location to another. Unlike local numbers, the toll-free numbers function across the country. So even if a business plans to relocate they do not need to buy a new number. The business can use the same toll-free number across multiple locations without any complexities. When an enterprise expands its business operations, it needs to compete with many local companies. But most businesses lack the resources required to open offices or set up branches in each targeted region. With toll-free numbers, customers from throughout the country can reach out to the business and easily get their queries resolved without incurring call charges. Business does not need to open offices in every targeted state to enhance their local presence. While expanding their business operations, enterprises must use vanity numbers as a powerful marketing tool to make customers remember and recall the brand. The vanity numbers follow an easy-to-remember pattern which gets memorised by customers almost immediately. The combination of the vanity number and 1800 prefix makes it easier for customers to remember and call the number when they need any assistance. In culturally-diverse countries, the choices and preferences of customers differ across states or regions. Toll-free numbers provide customers with a robust platform to report queries or grievances. Businesses can leverage toll-free number services to make it easier for customers to ask pre & post purchase queries about products or services. Often businesses have to upgrade their call centre operations to grow and expand successfully in culturally-diverse countries. The enterprises can integrate these numbers seamlessly with their virtual phone systems. The integration enables agents to answer calls without relying on a heavy infrastructure. 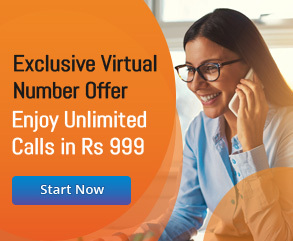 Many enterprises nowadays opt for virtual toll-free numbers to modernise their call centres. As noted earlier, a business can avail toll-free services provided by many telecom operators and cloud telephony service providers. The providers require subscribers to avail toll-free services by paying a one-time setup fee and monthly fees. As businesses can expand its national presence without implementing multiple local numbers, they can easily reduce the overall telecommunication cost. 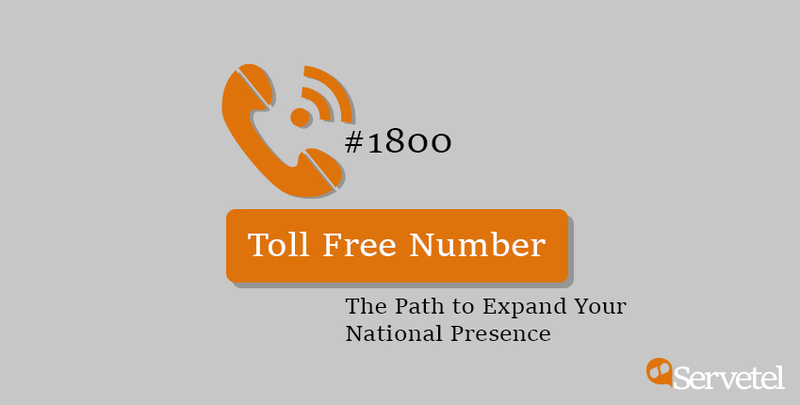 Enterprises from various industries already use toll-free numbers to expand their national and international presence. But the businesses cannot leverage toll-free number services fully without selecting an easy-to-remember toll-free number and a reliable toll-free service provider to reap these benefits. They even do some initial research to compare the toll-free number service providers elaborately. How Does the IVR Work?